On Friday 3rd August 2018 Inminds human rights group will hold a vigil outside the British Broadcasting Corporation, the BBC, to highlight the plight of Palestinian journalists targeted by the illegal Israeli occupation. 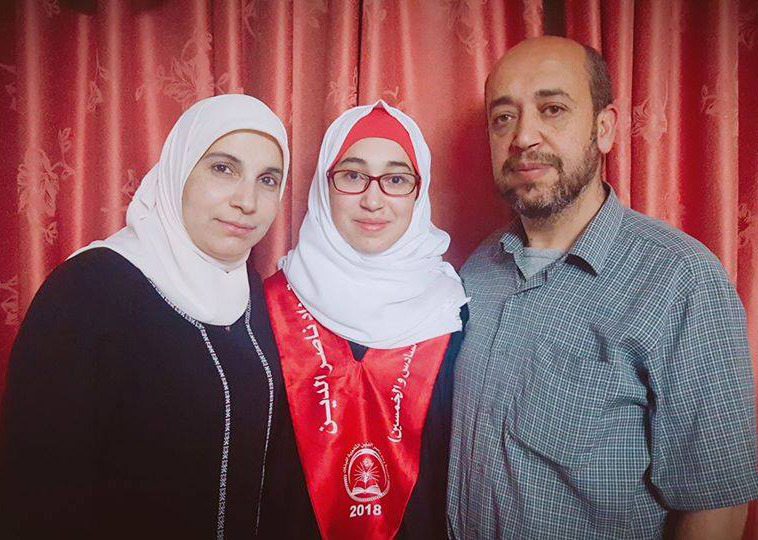 Inminds will demand freedom for imprisoned Palestinian journalists including Lama Khater who was abducted from her home in a pre-dawn raid last week on 24th July. Her abduction was followed this week by the abduction of 4 more journalists on 30th July, bringing the number of Palestinian journalists imprisoned by Israel to 32, including five women. Many of them are held indefinitely, without charge or trial under Israel's illegal use of administrative detention. This number does not include Palestinian writers and poets like Dareen Tatour who was sentenced this week on 31st July to five months imprisonment simply for writing a poem. The vigil will demand the BBC end its censorship on Palestinian suffering and report on the plight of fellow journalists in Palestine. Inminds chair Abbas Ali said "It is shameful how the media, especially the BBC, is silent whilst Israel bombs, kills, abducts, cages, tortures and censors Palestinian journalists, writers and poets. Through their silence the BBC shields Israel's war crimes against Palestinian journalists and thereby contributes towards their suffering. 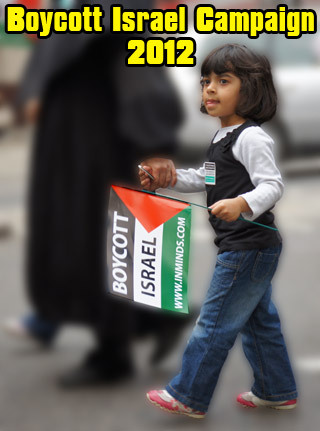 The British public through its TV licence pay the salaries of the BBC, not the Israel government. We are here to tell the BBC that its unacceptable that they serve Tel Aviv's agenda rather than report the news." 42 years old, mother of five, Lama Khater is a Palestinian journalist. Her articles for Al Jazeera, Quds News Network and Meem Magazine have been critical of both the occupation and the PA, in particular the security agreement the PA has made to police Palestinians on behalf of the occupation. This has resulted in both the Israeli occupation and the PA threatening her, demanding she stop her journalism. A week before her arrest, her husband Hazem al-Fakhouri, a fellow journalist, was summoned by the Israeli forces. They warned him that his wife would be arrested if she didnt stop her critical writing. He was asked what was the age of their youngest son Yahya and if his wife was still breastfeeding him. 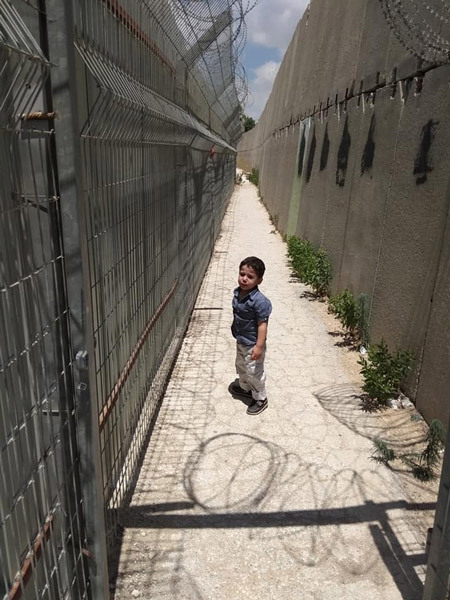 Israeli law allows a child under 2 years old who is still being breast fed to accompany his mother to prison when she is arrested. Yahya was a couple of month older that 2 years. 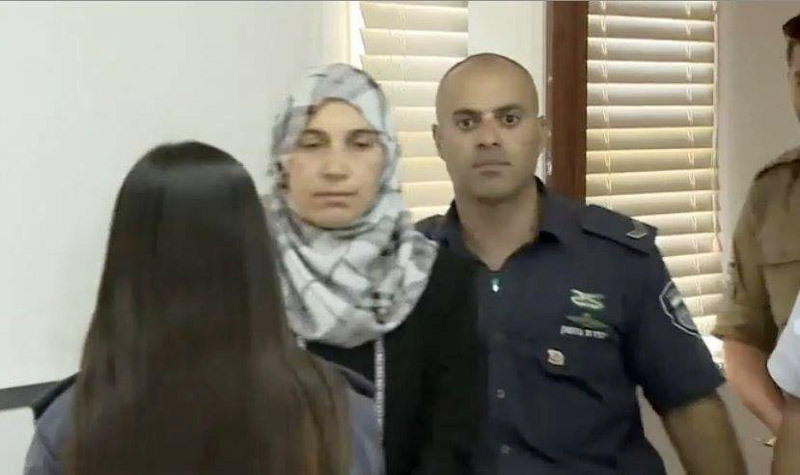 The Israeli soldiers took her to the illegal settlement of Kiryat Araba and brutally interrogated her for 5 hours till 7am when she was moved to Ashkelon interrogation centre where her interrogation continued. She was shackled to a chair the whole time, denied sleep and constantly cursed and shouted at by Israeli interrogators non stop for 10 hours at a time, day after day. When she wouldn't break, the interrogators asked for her detention to be extended, which the military judge agreed to at her hearing on 26th July. Her lawyer, finally being able to see her briefly, filed an appeal against the extension - she was still being held without any charge. That appeal was rejected by Ofer military court on 30th July. Lama was still denied family visits. 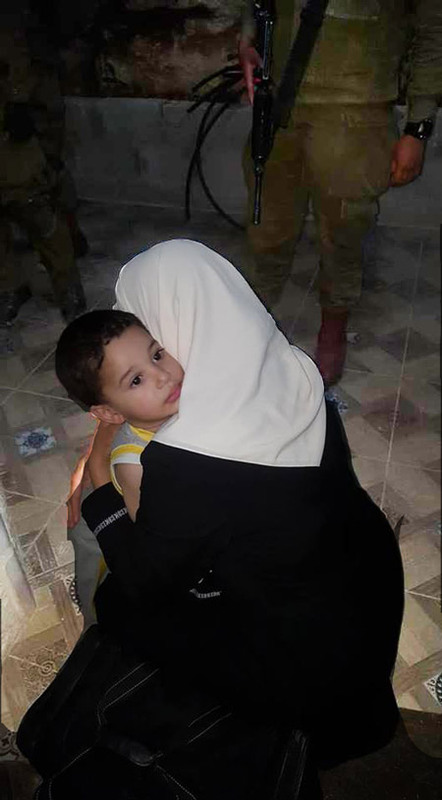 Her 2 years old son Yahya, missing his mother, came to the appeal hoping to catch a glimpse of her, but the soldiers spitefully refused him entry. He went home without being allowed to see his mother. Today Lama is still being caged without charge, shackled at the mercy of Israeli interrogators. Both Yaser Murtaja and Ahmed Abu Hussein were wearing blue protective vests marked "PRESS" in large capital letters, clearly identifying them as journalists when they were shot by Israeli snipers. Ahmad was even wearing a helmet clearly marked 'TV'. It seems these identifiers were used by the Israeli snipers to pick them out to kill. Both Reporters Without Borders and Human Rights Watch have declared that Israel's deliberate attacks on Palestinian journalists amounts to "war crimes". In June 2018 the Israeli Knesset passed the first reading of a new law which forbids journalists and ordinary residents from filming and documenting human rights abuses committed by Israeli soldiers. The new law allows the army to abduct and imprison those who film these crimes to up to five years. If they are Palestinian then they can be imprisoned for 10 years. The law was drafted after a film emerged of Israeli soldiers cheering and celebrating after shooting an unarmed Palestinian youth with a sniper rifle on the Gaza border. Ironically the film from the snipers telescopic sight was taken a by a soldier as a trophy of the kill. Israel's Defense Minister Avigdor Liberman defended the sniper saying "The sniper deserves a medal" for doing his job, but "the photographer [deserves] a court martial." He added "the truth must be clear. The IDF is the most moral army in the world, but when you’re at the front and facing tense situations, sometimes you let out those tensions". Two weeks ago on 17th July 2018 the Israeli Knesset passed the first reading of its so-called Facebook Bill which will will allow the authorities to order Facebook, Twitter, YouTube, Google search and other internet platforms to remove content which could harm the state of Israel, including economic harm like espousing a boycott of Israel. Since Sept 2015 over 500 Palestinians, including women and children, have been arrested simply because Israel didn't approve of their social media posts. This week, on Tuesday 31st July 2018 Israel sentenced 36 years old Palestinian poet Dareen Tatour to five months imprisonment and a further six months suspended sentence for her poem titled "Resist, my people resist them" which she posted on social media. She has already served nearly three years under house arrest after police raided her home in October 2015 and dragged her away. She was banned from publishing her works and banned from accessing the internet altogether. The writer's association PEN condemned the verdict as "an unacceptable attack on freedom of expression.. a poem is not a crime". The group's international president, Jennifer Clement said "Dareen Tatour has been convicted for doing what writers do every day - we use our words to peacefully challenge injustice".